Athanasius of Alexandria has been highly regarded throughout Christian history, East and West. Today is one of his feast days In the Orthodox Church. 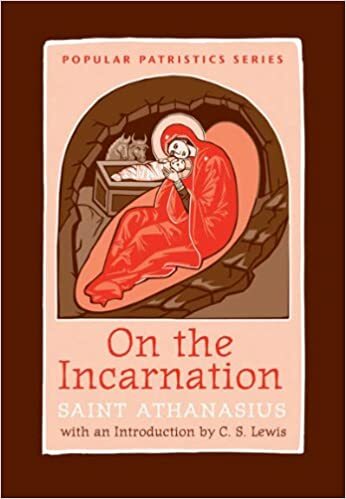 I first heard of Athanasius when I was a Protestant, because his treatise On the Incarnation was recommended to me many times. I finally read it a few years ago at Christmastime, and found it very encouraging. I notice lots of discussion of Athanasius still going on in the blogosphere in this century. Athanasius was born about 297 and was present as a deacon at the Council of Nicea in 325. It was he who suggested the word “consubstantial” (homoousion) to describe Christ’s relationship to the Father, in opposition to the Arians who believed Christ to be a creature. The word was immediately adopted and became an important point of sound doctrine from then on. Only for a while before his death did he live peacefully, as a good shepherd among his good flock, who truly loved him. Few are the saints who were so mercilessly slandered and so criminally persecuted as was St. Athanasius. His great soul patiently endured all for the love of Christ and, in the end, emerged victorious from this entire terrible and long-lasting struggle. For counsel, for comfort and for moral support, Athanasius often visited St. Anthony the Great, whom he respected as his spiritual father. A man who formulated the greatest truth, Athanasius had much to suffer for that truth–until the Lord gave him repose in His kingdom as His faithful servant, in the year 373 A.D.
And the truth of God enlightened men. To all who suffer for it, it is dear. All of his riches are within. A saint does not shine outwardly. All of his riches are within, in his soul. A peasant came from afar to the monastery to see St. Sergius. When he asked the monks for the abbot, they told him he was working in the garden. The peasant went to the garden, and there saw a man in poor, ragged clothes, digging like any other peasant on a farm. The peasant returned to the monastery dissatisfied, thinking that the monks had made fun of him. So, to make things clear, he asked again for the glorious holy father, Sergius. Just then, Sergius returned to the monastery, and welcomed the peasant, serving him at the table. The saint saw into the heart of his guest, and knew the low opinion he had of his appearance. He consoled him by promising that he would see Sergius in a little while. I remember as a Protestant laughing at the prophet Jonah, because he seems to make himself ridiculous in his pouting conversation with God. Essentially, his emotions are all over the place, which I can relate to. Jonah is unhappy when God spares the people of Nineveh, because that means his prophecy of their destruction doesn’t come to pass, and it makes him look bad. Then he is “exceedingly glad” when God makes a gourd grow up to give him a little shade. When the gourd dies he is very displeased again. And God chastises him for having more pity on a gourd than on a whole city full of humans. In the Orthodox Church we read the entire book of Jonah in church every Holy Saturday, along with a dozen other Old Testament passages. No one ever chuckles when we get to this part of the story; Jonah has a lot to teach us about our salvation, and we revere him for the fact that God made his life a picture of Christ’s death and Resurrection. For the Prologue of Ohrid St. Nikolai has written a Hymn of Praise to God for how He worked in and through Jonah’s life, and for His forgiveness. I imagine that much of the poetry got lost in the translation from the Serbian language, but I appreciate the attitude toward the Holy Prophet Jonah, whom we commemorate on this day. And God sends Jonah to heal Nineveh. Jonah does not want to, and flees from God! Oh, where will you go, Jonah, to hide from the Most High? Jonah sleeps; he sleeps and the tempest rises. God moves slowly, but He will find you in time. “From whom did I flee?” Jonah asks himself. And, by His providence, glorifies him forever. But through your punishment you will prophesy the immortal Christ. Prophesy Christ and the death and resurrection of the body! By which you will be saved, as well as Nineveh. The power of repentance and God’s forgiveness. You pitied the gourd, and God pitied men. Help us to repent, O God, and save us from condemnation.